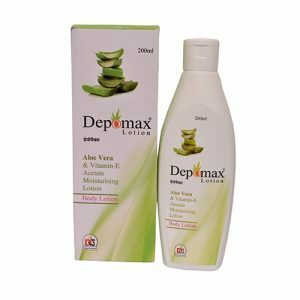 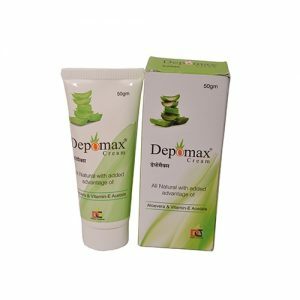 Depomax Soap | Aloe-Vera 5% W/W+ Vitamin E 0.05% W/W– The soup is highly effective in any kind of redness, dark circles, pimples and many other skin problems. 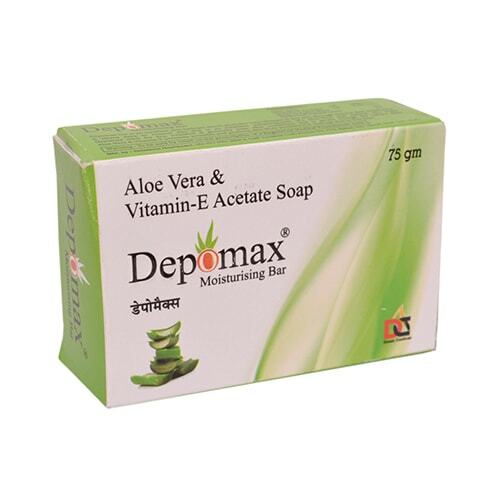 It is ideal for Moisturizing & Soothing the skin. 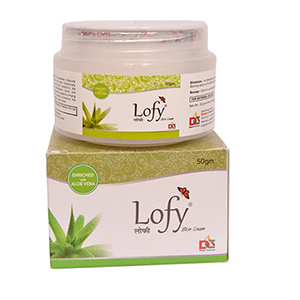 The soup is made by using pure Aloe Vera Extracts.